The two men walked farther and farther ahead of us, while you and I trolled up that newly black-topped hill, talking of many things in that hot, Vermont early evening. From time to time we became aware that if we wandered too far left or right as we slowly zigzagged up that hill, the sky becoming darker, that we would be in jeopardy of stumbling over the high edges of that pitch black macadam into the low growth and bushes left and right. Just at a certain moment, when the sun had barely disappeared but still cast its last light into the coming night, we stopped. On both sides of that road those dark bushes and low growth exploded with the flickers of thousands of fireflies. It was like this – rising macadam heat, two voices in the distance, fading light and being surrounded by fireflies, fireflies, fireflies. 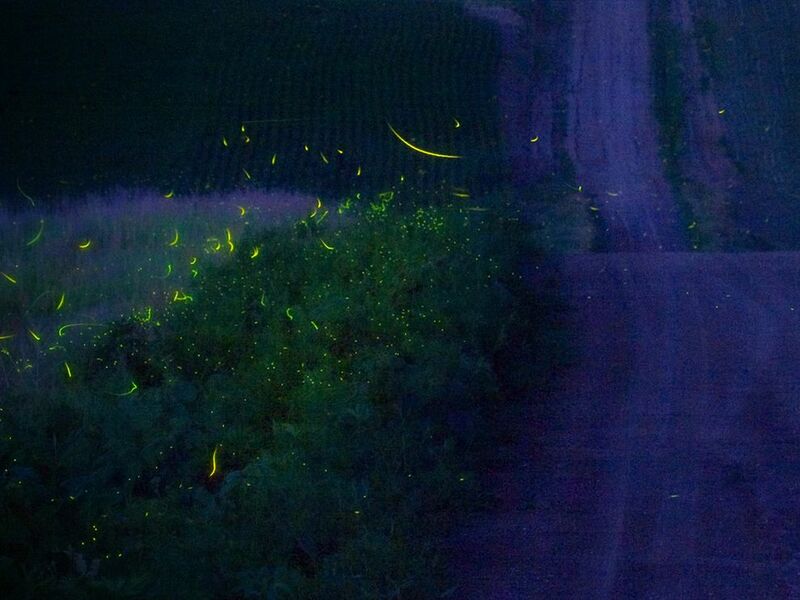 This entry was posted in New and tagged fireflies, Jessan Dunn Otis, lightning bugs, summer, Vermont, walking, writing on June 13, 2014 by Jessan Dunn Otis | Writer.